Product #5624 | SKU RK261WS | 0.0 (no ratings yet) Thanks for your rating! Small grey foam windscreen for SM84, MX183, MX184, MX185, WL84A, WL183, WL184 and WL185 microphones. (Contains four). 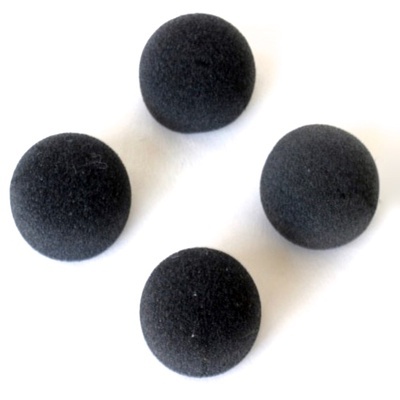 This set of 4 lavalier windscreens are made to fit the Shure SM84, MX183, MX184 & MX185 lavaliers. The windscreens are effective in minimizing noise caused by wind and proximity effect.